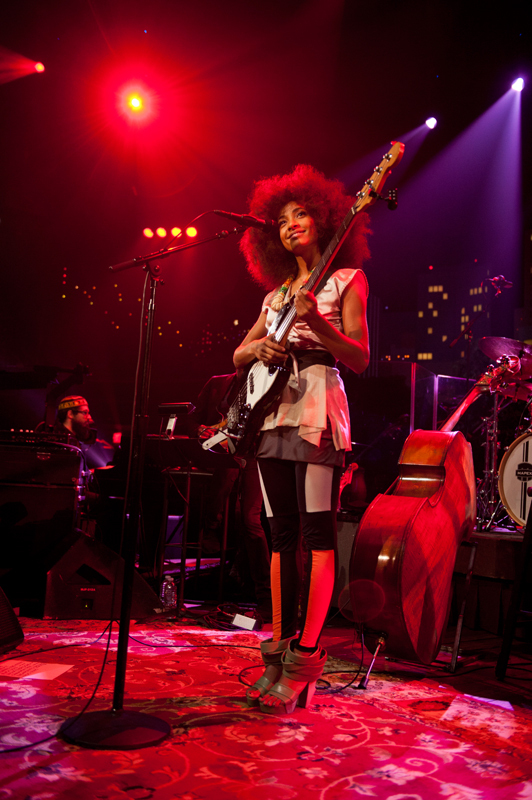 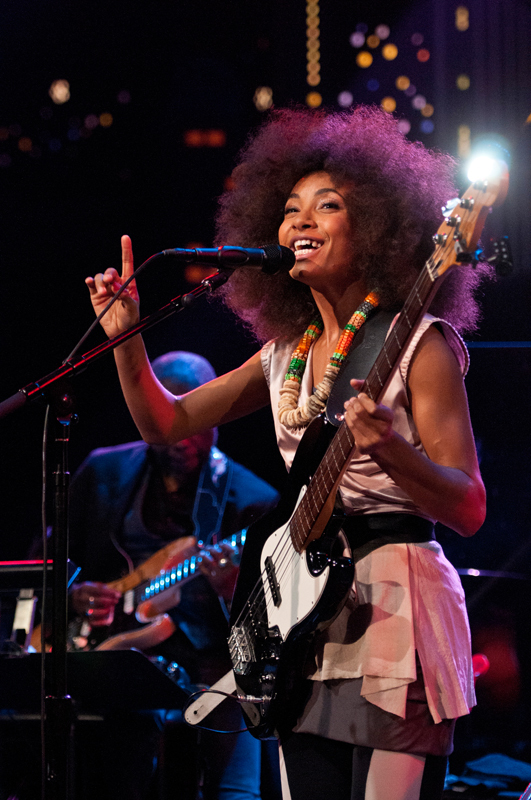 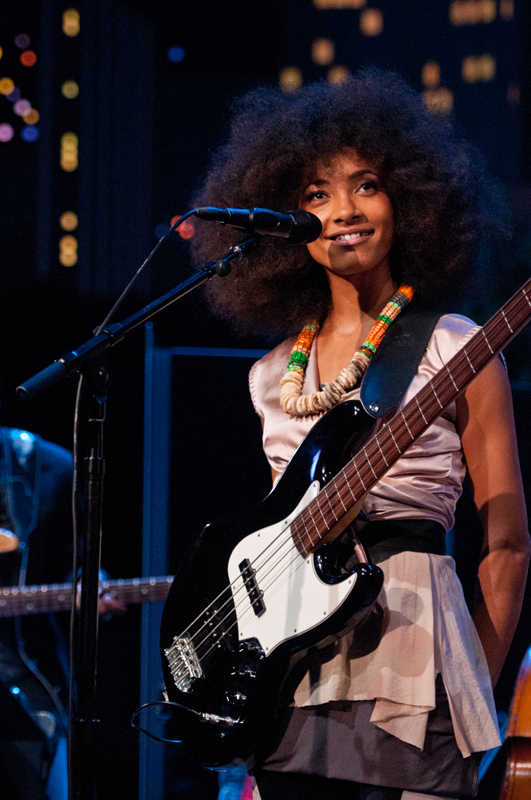 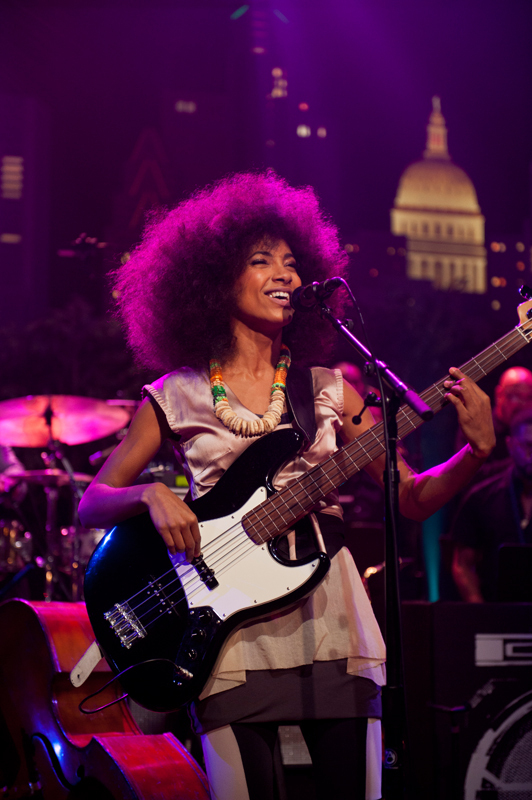 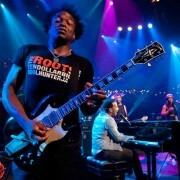 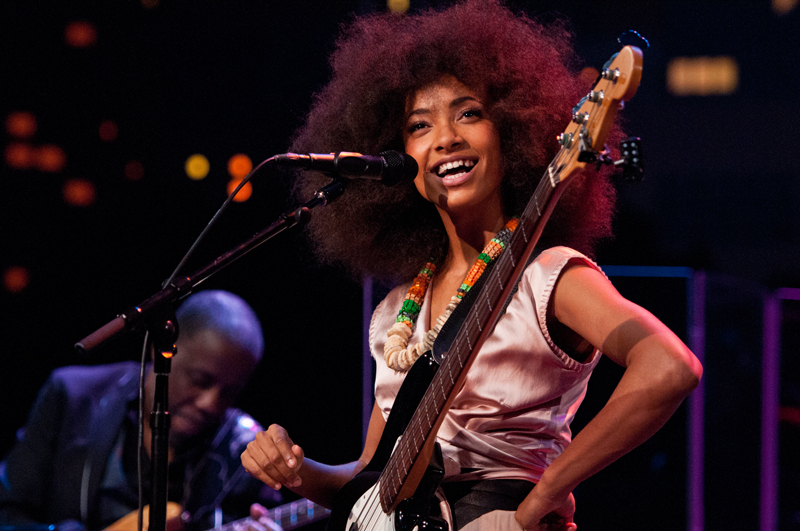 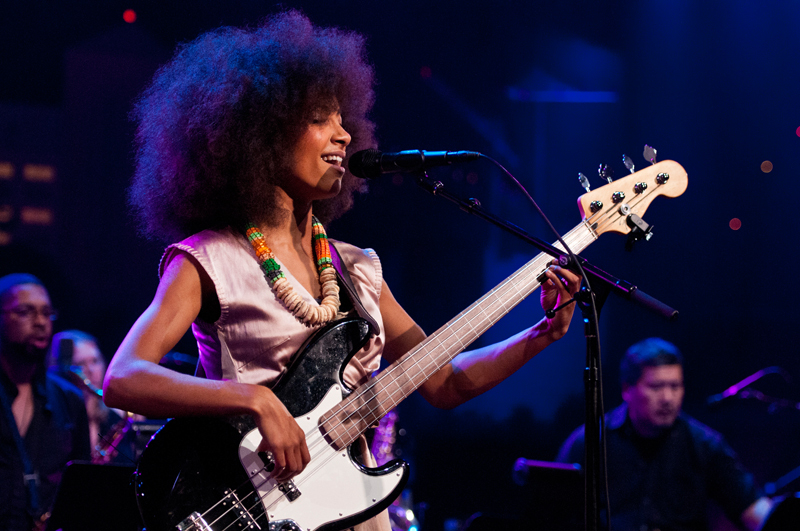 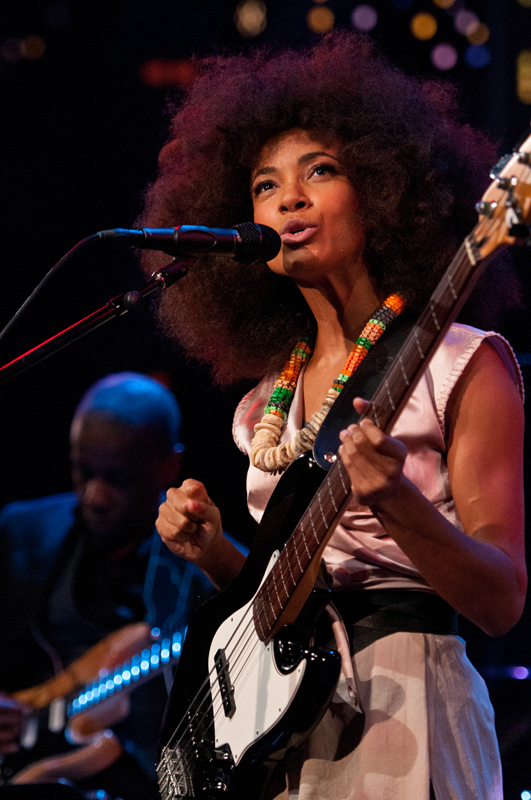 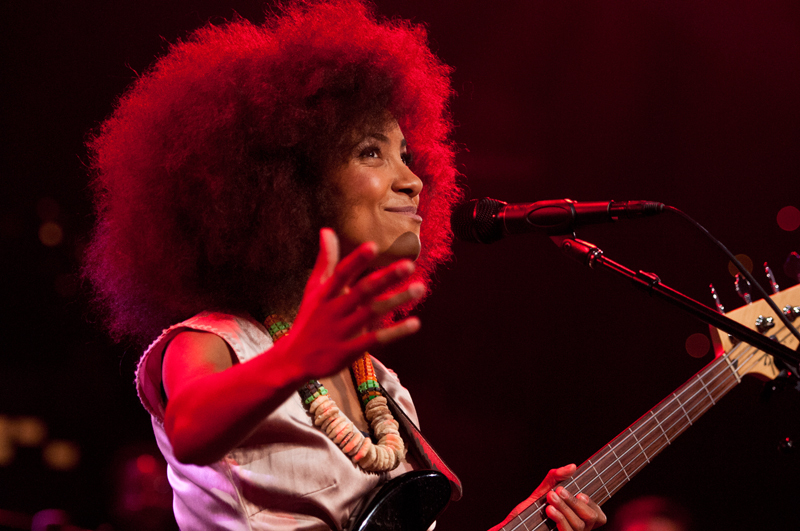 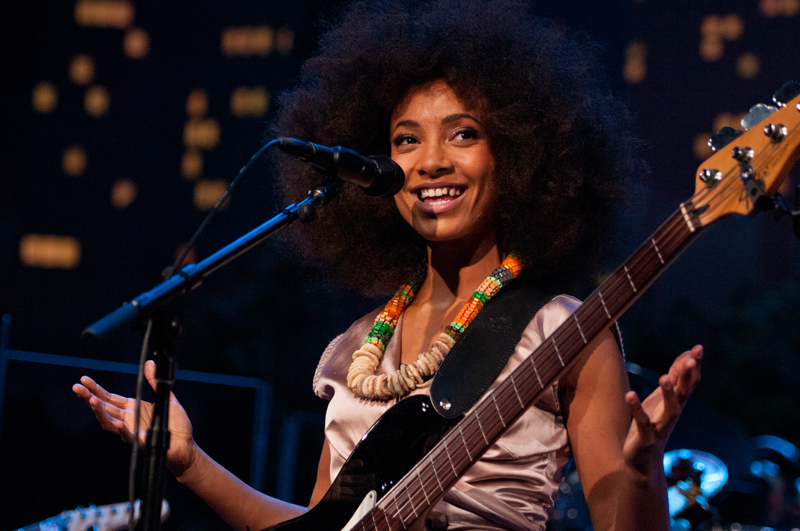 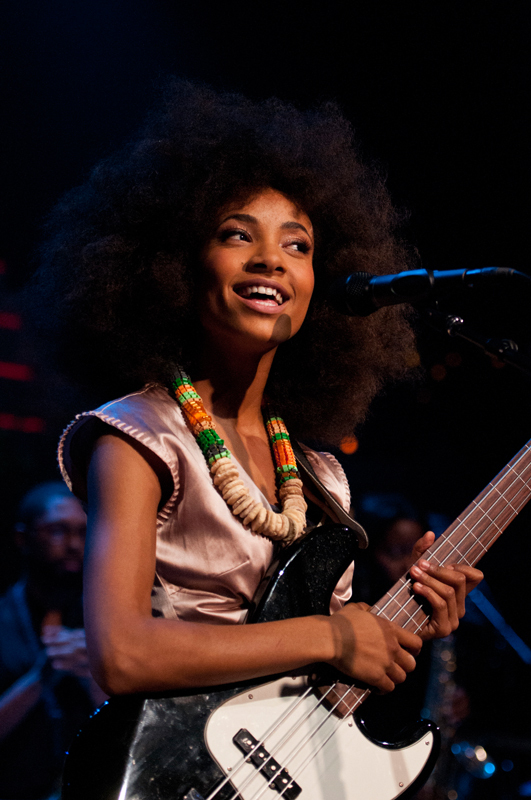 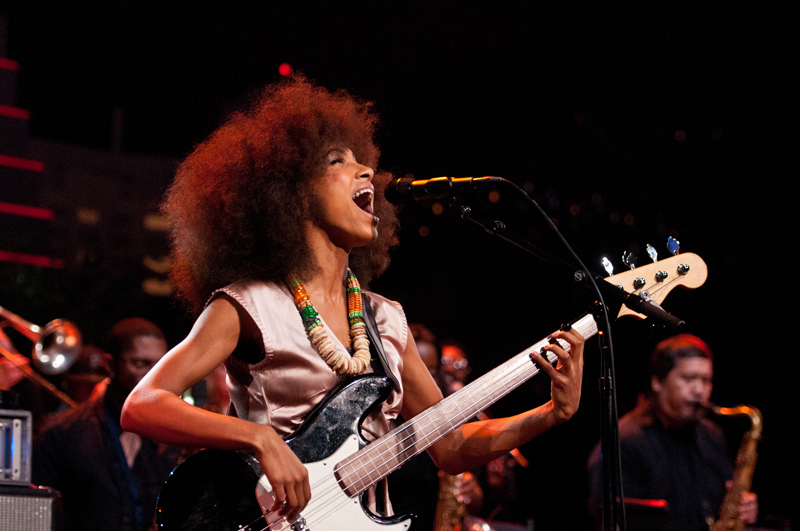 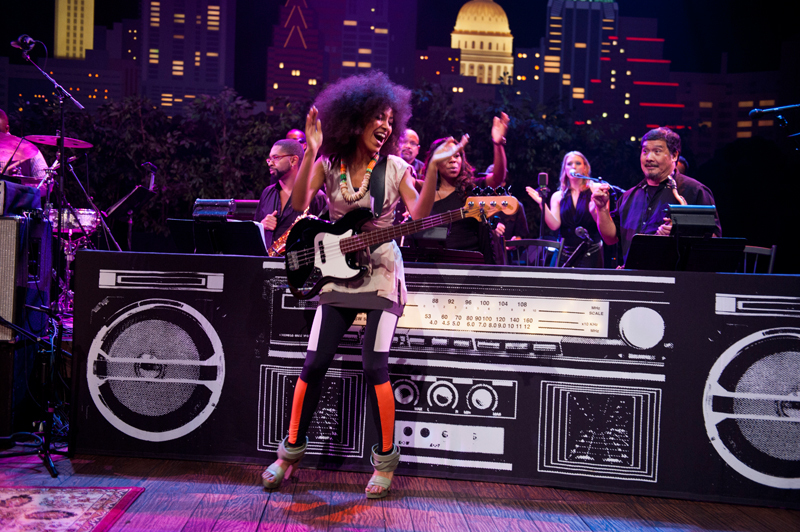 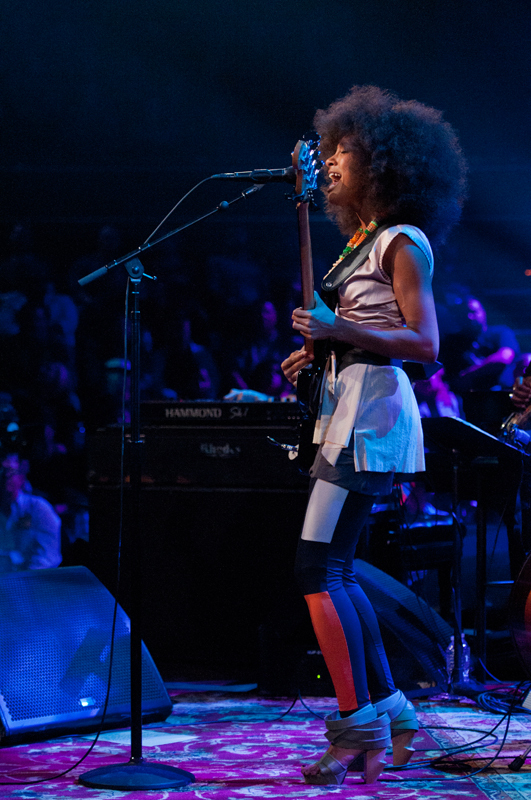 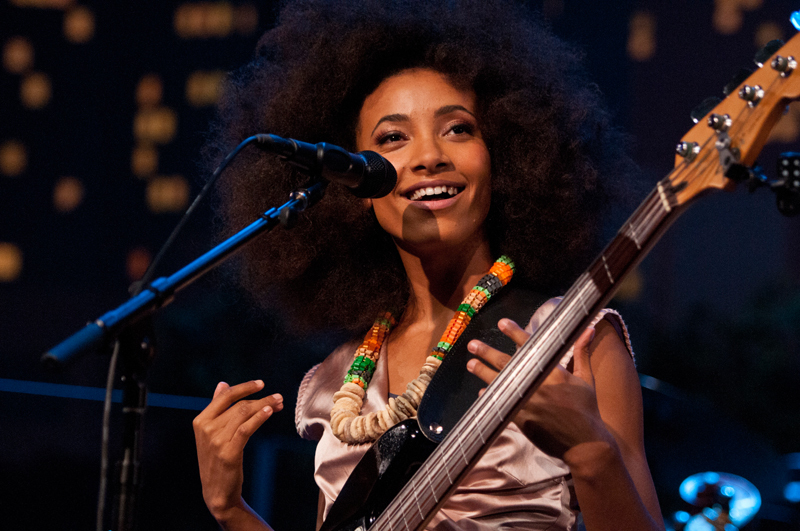 Esperanza Spalding dedicates this program to the guitarist Jef Lee Johnson who passed away January 28, 2013. 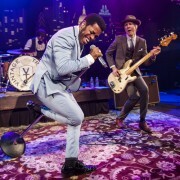 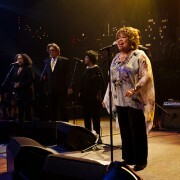 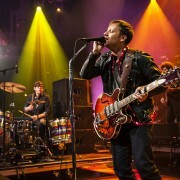 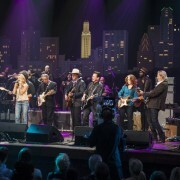 This Austin City Limits episode was their last performance together. 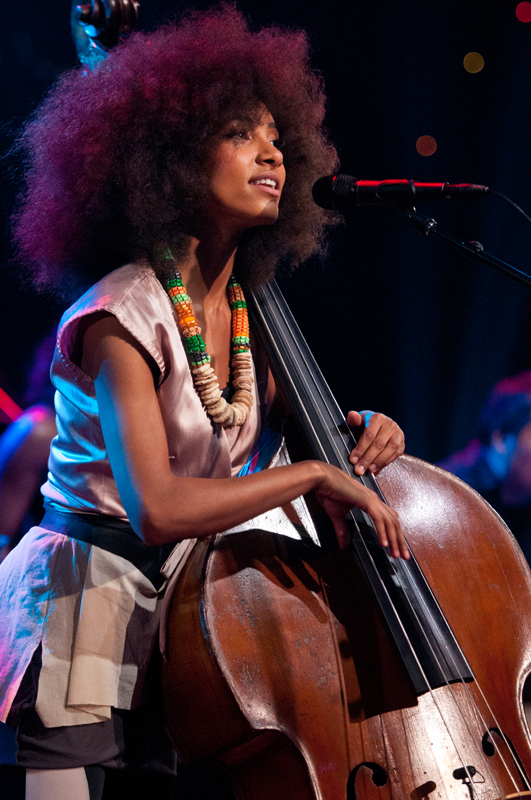 She’s the first jazz artist to win the Grammy Award for Best New Artist. 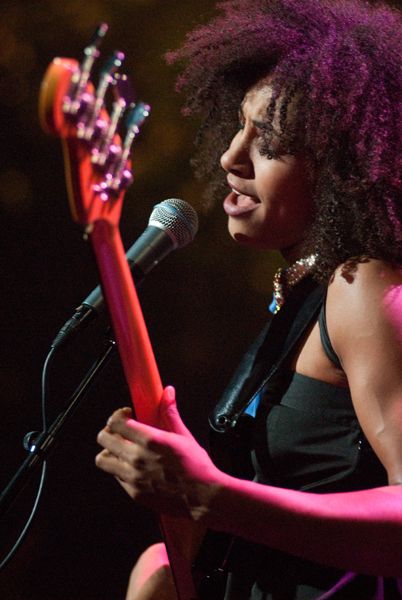 She’s also the youngest instructor in the history of Berklee College of Music. 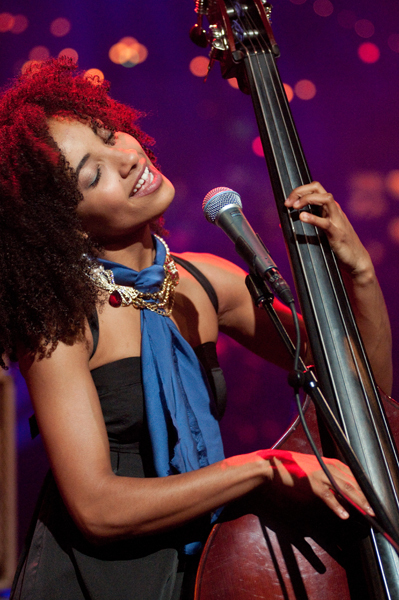 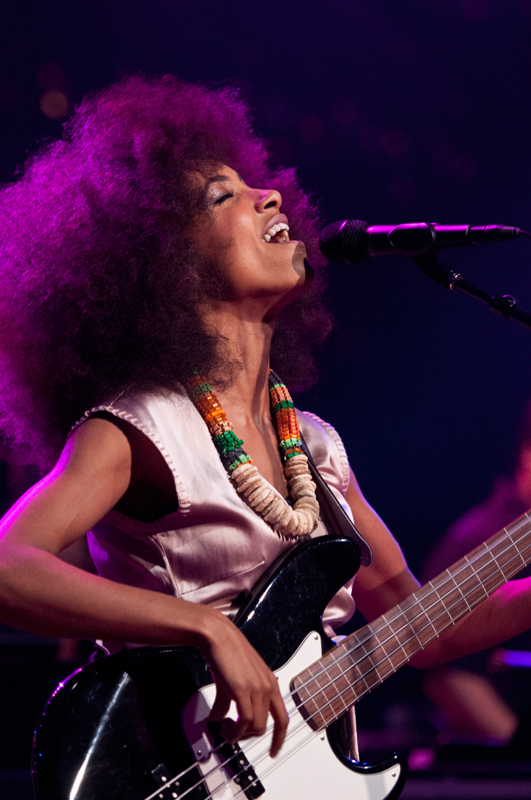 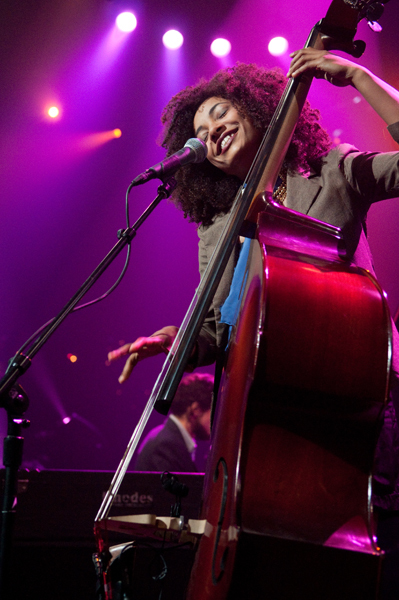 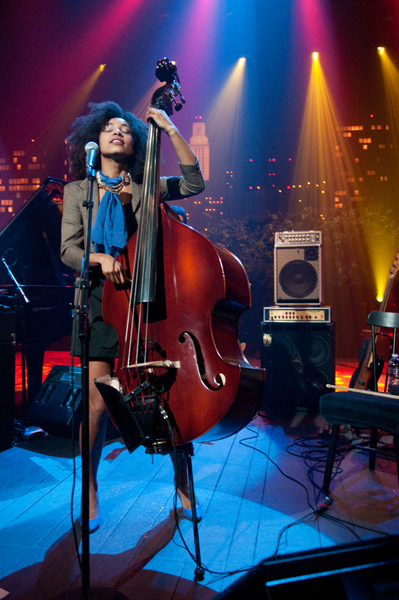 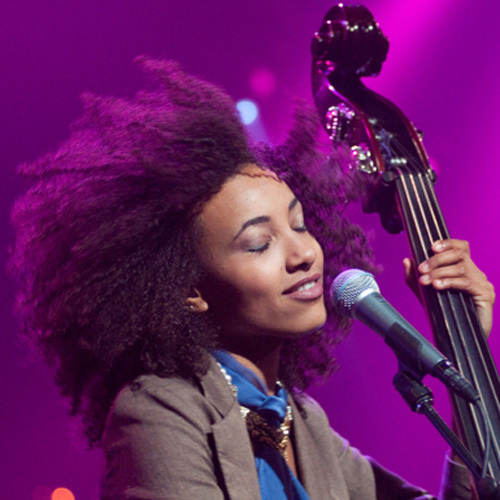 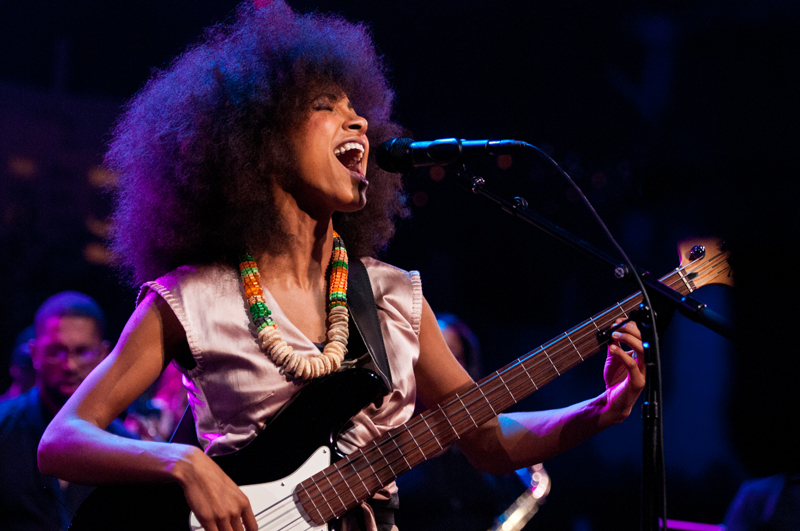 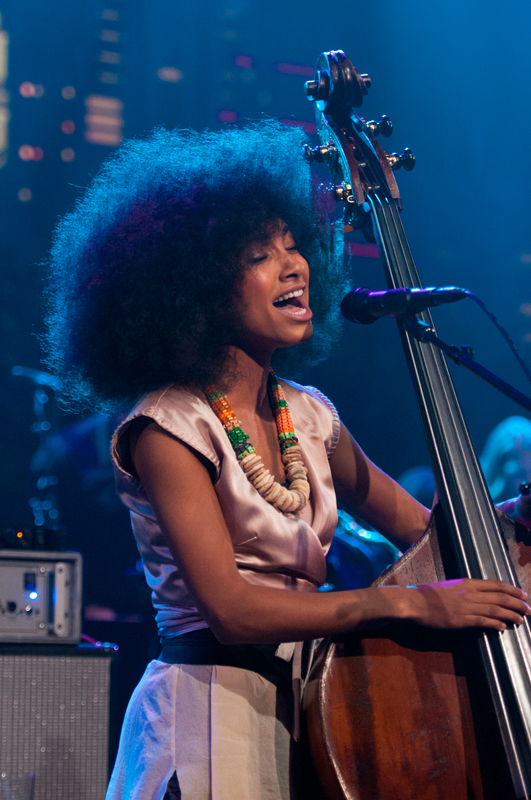 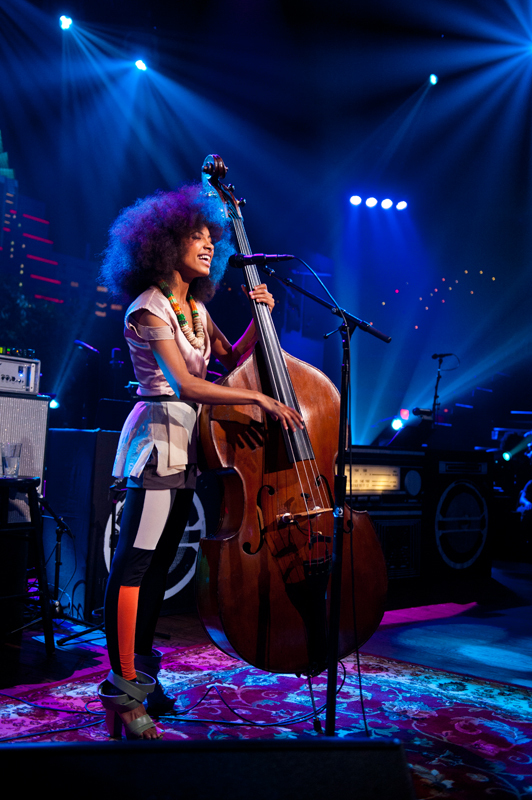 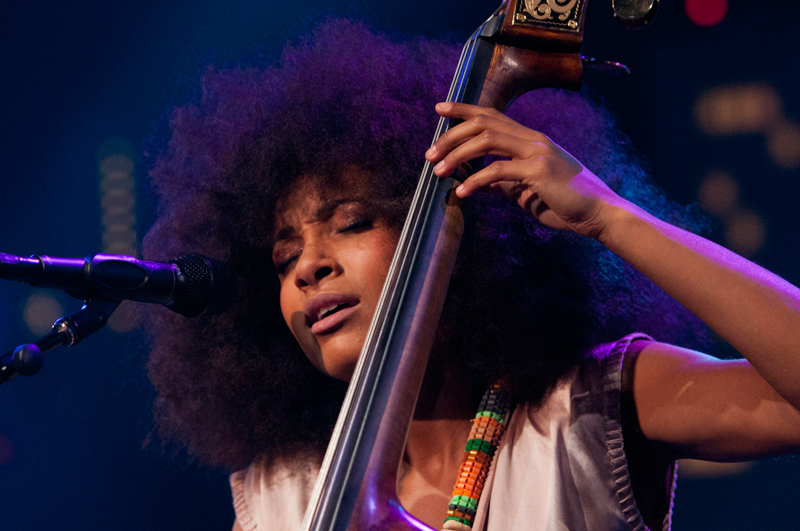 Still in her twenties, Esperanza Spalding’s dynamic relationship with her acoustic double bass has cemented her presence in musical history as a modern jazz virtuoso with “a light, fizzy, optimistic drive that’s in her melodic bass playing and her elastic, small-voiced singing” (The New York Times). 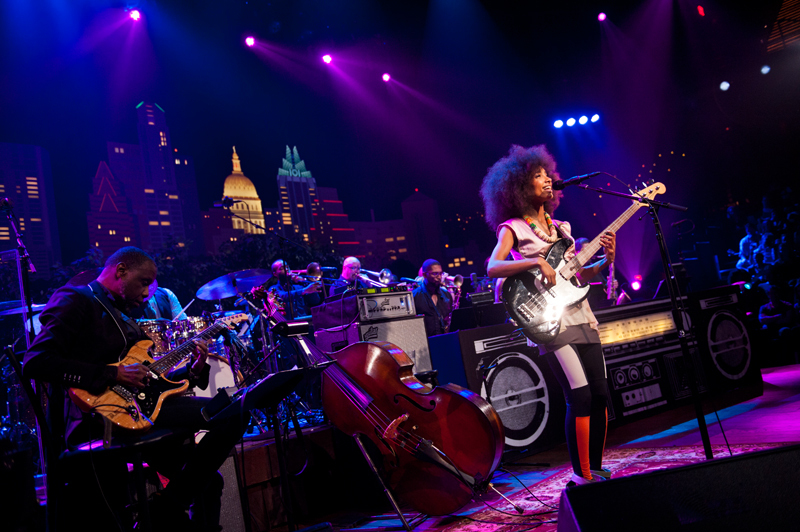 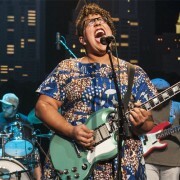 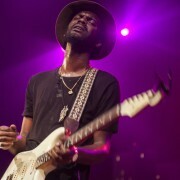 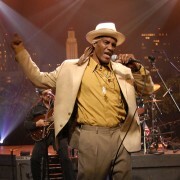 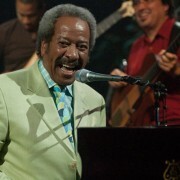 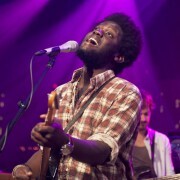 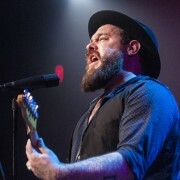 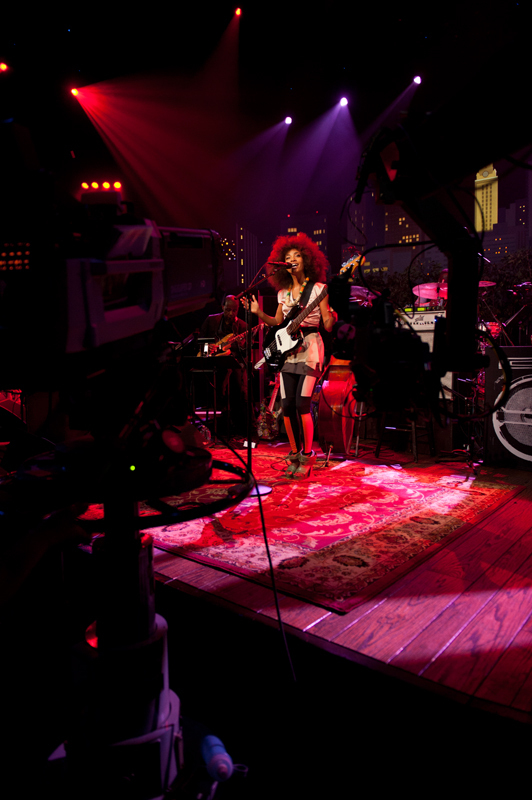 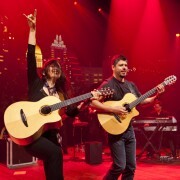 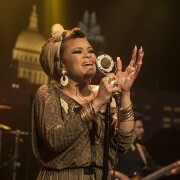 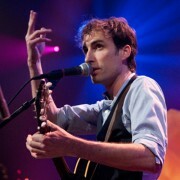 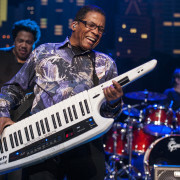 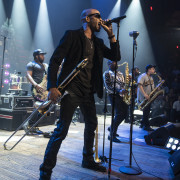 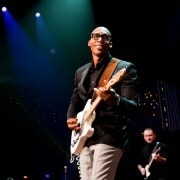 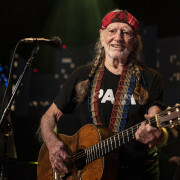 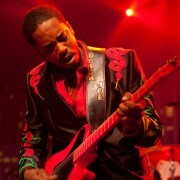 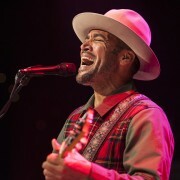 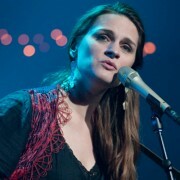 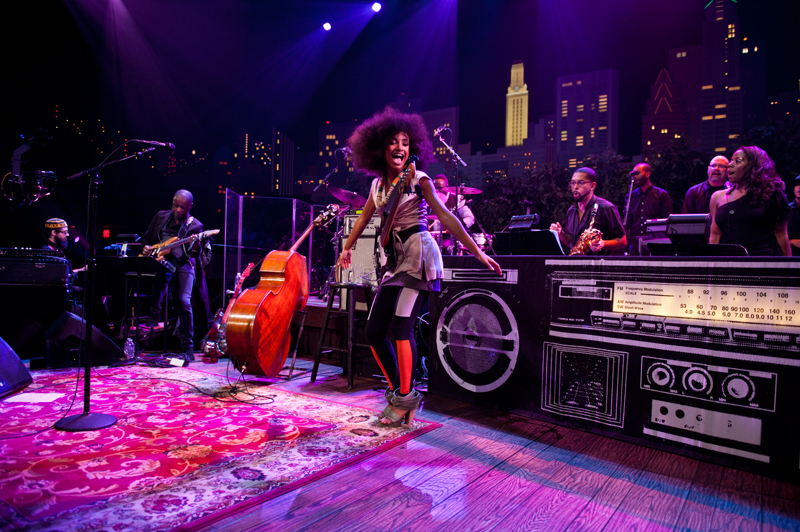 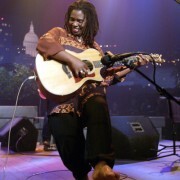 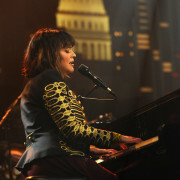 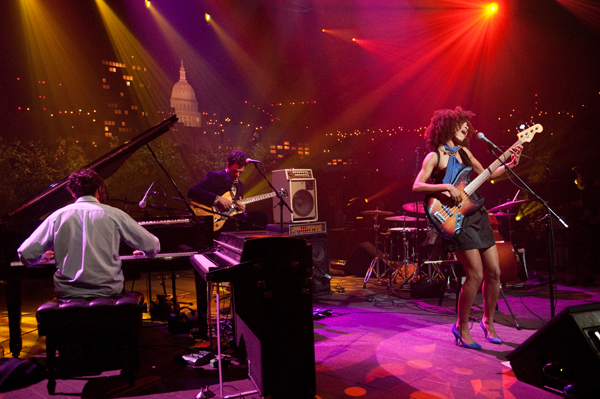 Tonight marks Spalding’s second appearance on Austin City Limits, this time with Radio Music Society. 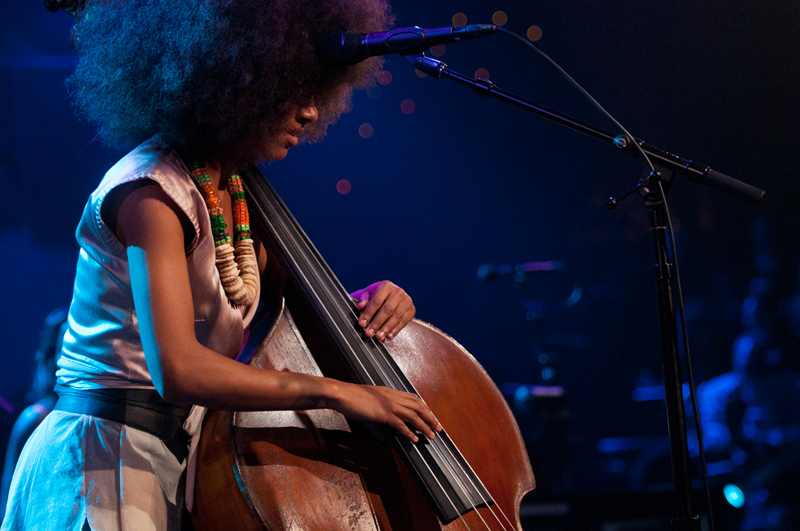 A native to Portland, Oregon, Spalding was raised in a culturally diverse household where her mother encouraged her musical expression from a young age. 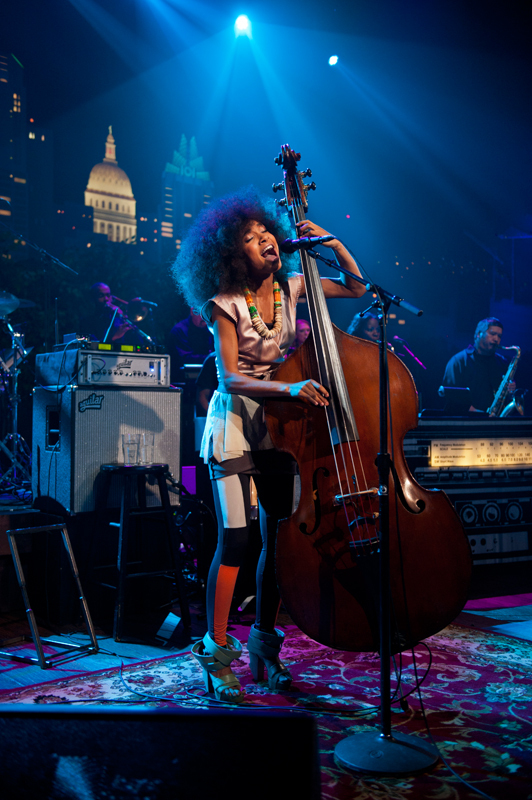 She claims her career path was solidified after watching classical cellist Yo-Yo Ma perform on an episode of Mister Rogers’ Neighborhood when she was four. 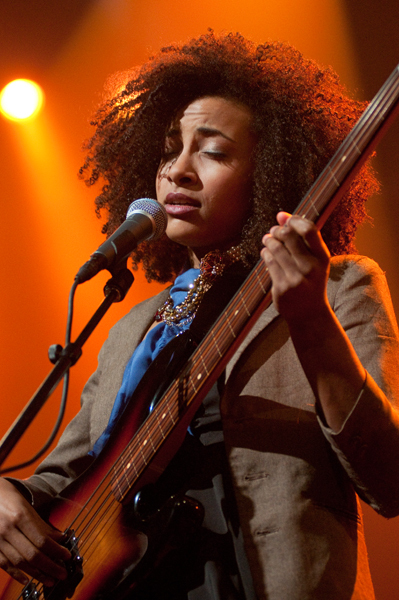 She became the youngest bass player at Portland State University when she was 16 and went on to accept a full scholarship at Berklee , where she subsequently began performing to larger audiences and eventually teaching. 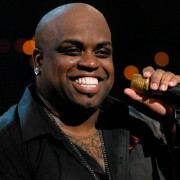 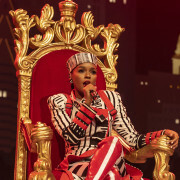 She released her solo debut in 2006 to critical success. 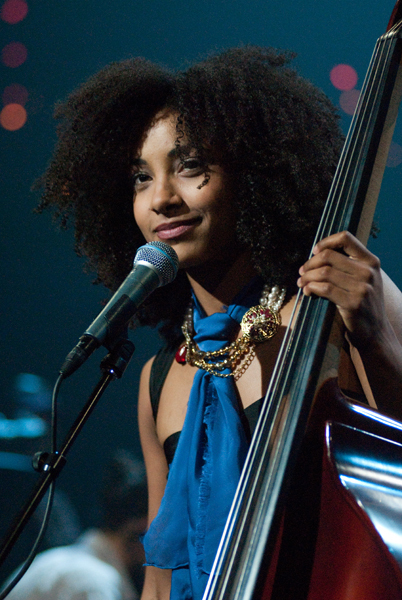 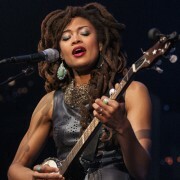 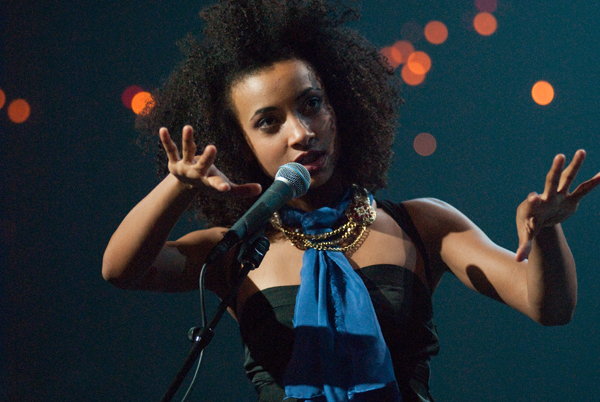 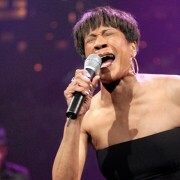 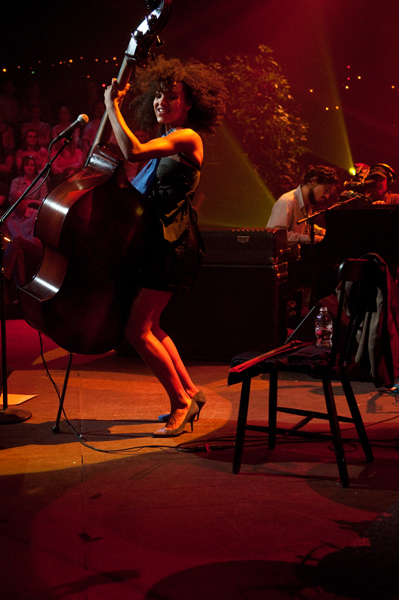 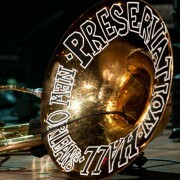 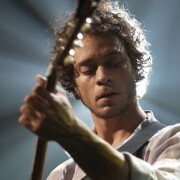 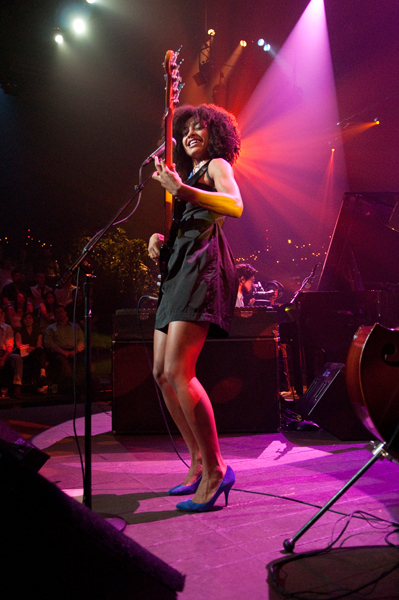 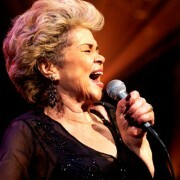 2008’s Esperanza captured the attention of audiences around the globe, leading to her Grammy win. 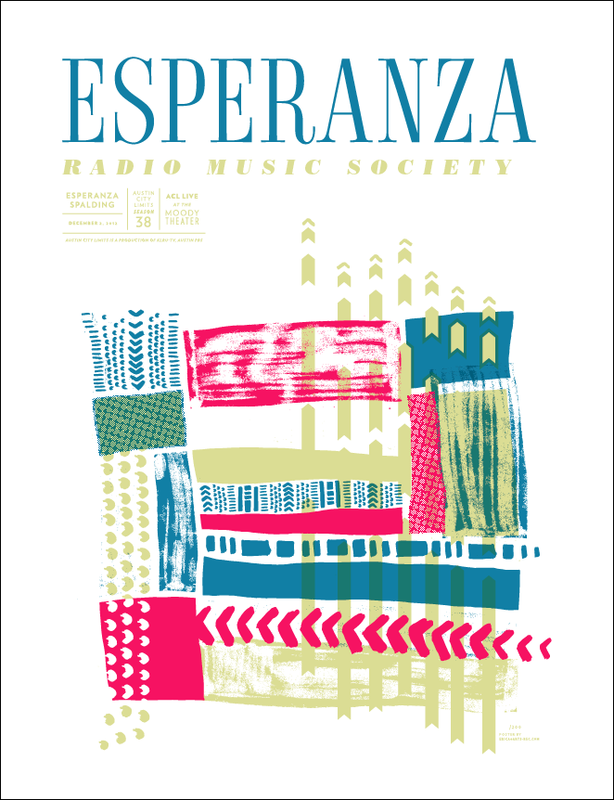 Spalding’s latest release, Radio Music Society, hit shelves earlier this year. 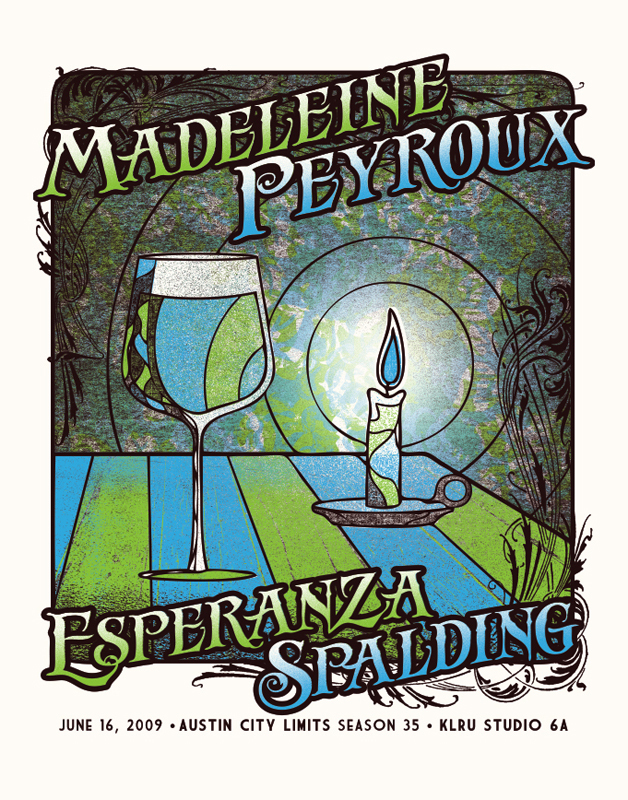 The album represents a celebratory vision of the artists who helped cultivate and inspire Spalding’s career throughout the years. 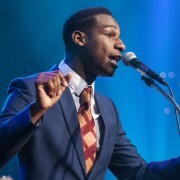 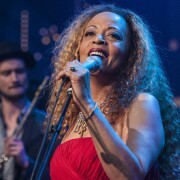 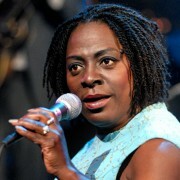 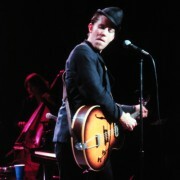 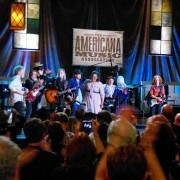 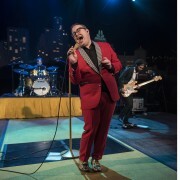 Radio Music Society (also the name of her current band) has received favorable reviews from critics, who praise the album’s “journey through soul, gospel, balladry and big-band swing” (The Times) and “torchy swaggers, world-jazzy guitar grooves propelling smokey saxes, and political songs with only a Hammond organ for company” (The Guardian).